It will soon be 50 years since the firm was opened by one person in 1967. For this period of years, we have been rendering a highest level of legal services toward the whole world from here, Aoyama in Tokyo, while managing to have the competent group of staff members including lawyers, patent attorneys, and other professionals. Aiming to be in the front line of business law services, we have always been committed to expand our services and to grow up human resources who can deal with them. The wide variety of services cover corporations, intellectual property, international problems, and individuals. In recent years, the social and economic environment has rapidly been changing. The change tends to make variousissues complicated and highly challenging. We will polish the professionalism of lawyers and patent attorneys to respond to the rapidly changing environment faster, and will propose the best solution to all problems that our clients may face. Universal Law and Patent Bureau provides the most suitable and highest level of professional services to clients in the whole world, including Japan, in a fastest way. Clients always have problems, visible, and invisible. The invisible problems as well as the visible must be handled based on the optimal scheme in the most timely manner, or the handling will be meaningless. What is important is to act in such a manner, we believe. 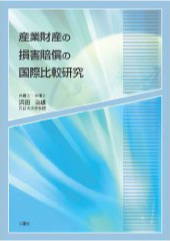 Universal Law and Patent Bureau aims at maximizing clients’ benefits. We always stand in clients’ shoes and fight against problems integrally with clients not only when under favorable circumstances but also when in difficult times. Universal Law and Patent Bureau works diligently every day so that every member of the firm can gain latest knowledge and resolve unknown problems using wisdom in order to offer a high level of professional services. As well as rendering legal services to clients, Universal Law and Patent Bureau participates actively in public-interest activities, never losing a sense of gratitude to society. 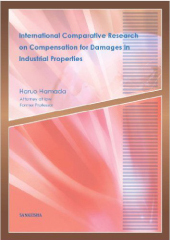 Prof. Hamada started his career in the intellectual property field at Sugimura International Patent & Trademark Attorneys, and in 1967 he founded Universal Patent Bureau. He has made a number of business trips overseas (U.K., U.S.A., Germany, Italy, France, Switzerland, Spain, Sweden, Luxembourg, Portugal, Belgium, Austria, Russia, Hong-Kong, Indonesia, Thailand etc. ). Timely revisions and addition of countries member countries shall be promised.